This leaves many questions open, though. 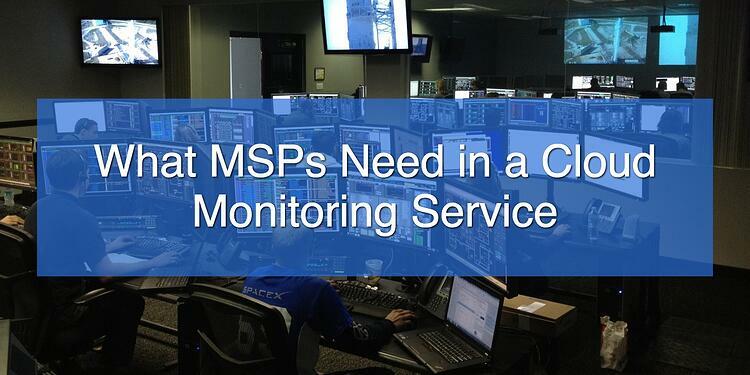 What does an MSP need in a monitoring service? Its requirements are different from a network that sets up monitoring just for itself. An MSP needs to be like the watchful giant Argus in Greek mythology. He had a hundred eyes, and some of them were always awake. He was the ideal watchman, always alert to trouble. But MSPs have to do even better than Argus. They have to keep an eye on everything, all the time, without letting a single eye sleep. Argus's lapses were his undoing in the end. Cloud monitoring lets MSPs keep an eye on every customer, all the time. An inventory of the devices on the client's network. The MSP should know what's there and what shouldn't be. Performance analysis. Monitoring should let them know about performance bottlenecks and uptime percentage. Outage reporting. Customers want any failures caught quickly and fixed. Security control. They want malware and spyware kept out. If it can't be kept out, they want it discovered and banished as fast as possible. Above all, they don't want data lost or stolen. The promise of monitoring is that things will be caught and fixed before they break in any disruptive way. Argus didn't just have lots of eyes; he had strong arms and quick feet. He chased thieves away before they could get close. The systems under an MSP's watch should almost never go down or lose data. Customers want positive results from monitoring: useful information, rapid fixes to problems, and ongoing security. When networks are slow, the cause isn't always obvious. Monitoring will collect information on traffic, showing where the biggest burdens are coming from. The solution may be to change some parameters, remove unnecessary software, or upgrade hardware. In some cases, malware or spyware is the cause of the trouble, and it has to be removed. It's better yet to catch situations where an overload could soon slow performance down but hasn't yet. If analysis shows a steady upward trend in usage, to the point that the network will soon be saturated, the customer has time to upgrade before its own customers notice a problem. Monitoring has to be closely integrated with response methods. Some responses will be automated. Others will involve notifying people that they have to take action. Data collection needs to work with a good logging and analytic system. Not only will it provide information about ongoing trends, it can help to diagnose ongoing problems that weren't immediately noticed. Analytics will give the customers information about how to improve and upgrade their systems. Every client expects to be the MSP's center of attention. There has to be an eye on every customer, all the time. The MSP's distinctive need is the ability to monitor multiple networks. 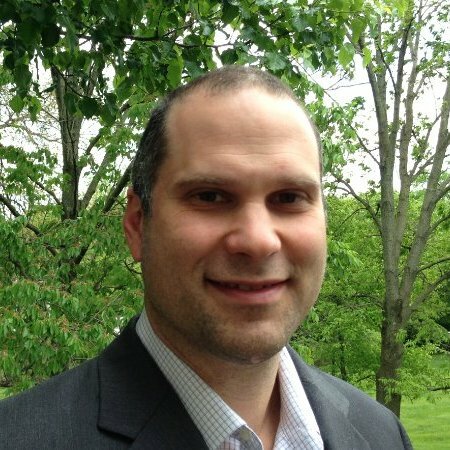 They'll have different hardware, different needs, and perhaps different SLAs. Reports will come in on all the clients, and they need to be sorted out and safely isolated from one another. It would be embarrassing at best to respond to a client about a different client's emergency. The monitoring system needs strong multi-tenant capabilities. Each client needs to be fully isolated from the others. Technicians need to be able to move smoothly from one account to another without confusion or wasted time. Human error is the biggest risk in networks, but good software helps to prevent it. People who get alerts need to know clearly which network has an issue and where they need to take action. Two or more clients can have emergencies at the same time, and they need to be kept separate. Clients expect to learn from monitoring whether their systems are overburdened. The monitoring system isn't supposed to be itself overloaded. It's supposed to gather information in a timely way and give a quick response if there's a problem. A hundred eyes may not be enough. Cloud services can put as much processing power as necessary on the task, but that's not the only scaling issue. The design of the software needs to handle lots of clients efficiently and let technicians track them all. Account management that works for three or four clients may not be manageable for twenty clients or two hundred. The evaluation of a monitoring service needs to put a heavy emphasis on scalability in the user interface as well as its capacity to process network data. A monitor that requires a separate dashboard for each network or puts tight limits on the number of networks may be fine for a private network, but not for managed services. Hera came to Argus, saying, "You see this cow? Guard her with your life." The client comes to the MSP saying, "This is my network. Take care of it for me." The MSP gets the network as it is, at most getting to add a box that houses the network agent. The monitoring service needs to deal with all kinds of Internet connections, routers, firewalls, and servers. It needs to deal with large networks and small ones, with remote users, and with all the other surprises a set of connected computing devices may come up with. The monitoring service shouldn't be closely tied to any single operating system or network architecture. It has to be one that can handle a diversity of hardware and software. Argus had a well-earned reputation for trustworthiness. Potential clients are understandably nervous about letting anyone get access to their networks, so an MSP needs to earn the client's trust. Its highest obligation is to safeguard the information it gets. A private monitoring system only has to concern itself with intruders from outside, but a multi-client monitor has to make sure that no information leaks from one client to another. This needs to include safeguards against human error. Who watches the watchers? A monitoring service with strong credentials and a track record that goes beyond the MSP goes a long way toward convincing customers that they're in safe hands. There's a cautionary element in the story of Argus. Hermes lulled all his eyes to sleep at the same time, after which he was able to hack Argus. Literally. With a sword. MSPs can't afford to let any of their eyes rest. To tell if a client site is maintaining 99.99% uptime, the monitor had better have a good uptime record of its own. Being down while the site is having problems is a good way to lose a customer. A cloud service with high availability and reliable failover capability will always be ready to catch problems when they arise. If a server goes down, the monitor will report it promptly. Argus's skill wasn't just at watching. He was a giant with immense strength. He fought monsters and saved people. The ship which he built, the "Argo," sailed through great dangers and returned safely with Jason's crew. A monitoring service is useful only if it's integrated with capabilities for fixing problems and stopping attacks. It needs to be a strong fighter as well as a watcher. If abnormal traffic appears on the network, that's a possible security issue. It might trigger an automatic response, such as quarantining the affected machine. Whether that happens or not, the appropriate people need to be notified so they can assess the situation. A server could stop responding. The monitor could respond to this by sending a message to the failover system. That way, downtime will be close to zero. Again, people need to look at the situation and find out what went wrong. A cloud system is reachable from anywhere. If a severe problem arises, a message can go out to a specialist. It may be necessary to get out of bed in this situation, but at least it isn't necessary to go into the office. IT departments are going to be skeptical about managed services. They see outsourcing as a threat to their own jobs, or at least a limit to their future opportunities. It's necessary to sell the idea to high-level management. They'll take a broader view, but they aren't as technically knowledgeable. A reputable, cloud-based management service adds conviction to the package being offered. It's true that just saying "the cloud" is often a selling point, but underestimating the client is a poor way to make a sale. It's the actual advantages of the cloud service that will make the sale. The MSP's selling point is that the break-fix model of service isn't good enough. Downtime while repairing damage just isn't acceptable. Managed services keep networks in a condition where they won't break. This requires keeping watch on the customer's network all the time, never taking a nap. To accomplish this, MSPs need to choose a cloud monitoring system that is always alert, doesn't make mistakes, and is ready for action at any time.